"Best course I've taken yet. So engaging and thorough." "Amazing job! The scenarios were so helpful." engaging. I loved the use of simulation tools and appreciate the interactivity." "Thank you so much for being interactive and involved!" "Instructor had good energy and enthusiasm." "Excellent information/value/leave behinds. Engagingly presented - thank you!!" "You rock! Most fun first aid training I have ever done. Love the interactive pieces!" "So refreshing compared to past CPR courses! Great job, thank you." "Fun time to learn about First Aid/CPR." "I took the ON-SITE training program and was pleasantly surprised how well done and valuable it was. Diana is a cheerful and patient instructor who clearly knows her stuff. The course is well planned out with many ways of delivering the information to make sure you understand it. The small group setting means everyone gets great attention and training. I would happily recommend ON-SITE training to my family and friends." "Best CPR training I have participated in. The interaction and participation was a good and welcomed change to the usual classroom setting of CPR training sessions I am used to." "Great job Diana! The course was fun and informative and I really feel better prepared to deal with a possible first aid/CPR incident." "Very well done - curriculum was well planned and organized." "Very fun and easy to understand. I am confident in my first aid knowledge." "My experience with ON-SITE First Aid was excellent! Diana is a very engaging teacher that is enthusiastic and uses interactive teaching methods to help understand and retain the material. The course I took was tailored to the type of first aid that I needed to know and all the information taught was very relevant. I would highly recommend ON-SITE First Aid for all ages and groups, large or small. Diana is an excellent instructor and you will really enjoy your time learning first aid with her." "The course was extremely comprehensive in all areas. All questions were answered and everything possible was interactive. Overall it was fantastic, thank you." "Diana was a very informative and clear teacher who was able to provide the information in a fun and interesting way." "Loved this course! It went by really fast, but I feel as though I learned a lot and I had a blast doing it! I will definitely highly recommend this to anyone!" "I thoroughly enjoyed the interaction of your course and how empowered I felt by the end of it." "The course was informative and fun - a great learning environment. Thanks!" "Great course. I learned some new things today and enjoyed the course even though I already knew the material well." "It was amazing. It was very well planned and educational. It was informative and fun. I would take this course again when I need to renew my CPR. I had lots of fun and the instructor did a great job!" "Diana is an excellent instructor. She makes eye contact with everyone and is very supportive and patient. A positive and helpful experience." "I really liked the mock situations and Q&A from Diana. Pace was excellent. Small class was wonderful for learning." "Great course - learned a lot, worth every penny. Would recommend to friends." "It included a lot more info than I thought it would. Great weekend!" "Very enthusiastic - great energy and lots of learning. Tons of info for one day but I feel very confident. Thanks!" "Awesome, fast paced class. Nice hands-on, combined with conversation. I especially like the real-life scenarios to help remember the information." "I love the hands-on training with the manikins and slings." "I found the CPR session very thorough and practice on the manikins very useful." "It was fun, making things easy to absorb and remember. Interaction was very helpful and appropriate." "Can you fail us so we can bring you back to teach everyday!?" "Diana was fantastic! A fantastic and engaging instructor who was really well informed. The 4 hours flew by!" "Diana is a great presenter. Very well paced class. Informative with good requests for feedback and interaction. Will definitely work with you in the future." "Very useful and relevant! Presented well and kept me interested. Loved the interaction. Thank you!" "It was a lot of fun. I can’t wait to get certified!" "I had a great time in this course! I really liked how it was local and the class size was small. We got to practice on the mannequins and we covered way more than I thought. Overall, GREAT DAY!" "This was a great course and I learned a lot. I also feel confident if I ever had to help someone." "I thought this was a very helpful course and it taught me a lot. The instructor was really nice and I had a good experience doing this." "Awesome job! Easy to understand presentation and material was fun to learn instead of dry and boring. Definitely worth getting up at 4:30am and 6 hours of driving [traveling from London to Toronto]. Thank you Diana!" "Instructor made what could be a very dry subject fun and interesting through interaction. Thank you!" "Thank you so much Diana! I had a really fun time learning about first aid & CPR. You made it super interactive and relevant and thus easy to learn! I will definitely recommend you to friends and family!" "I loved that it was a relaxed environment that was laid back and the instructor made sure everyone was included. It made the day fun and go by quickly." "This was actually fun! Great job! I loved the interactivity and games! Thanks!" "I was unsure coming into today’s training. I was impressed and surprised with the content/instructor. The material was presented in a fun way. The interaction was great and the speed of learning was great – fast, not too slow or borning. Great job!" "Awesome course – I will pass your info along." "Excellent job! Good interaction with participants." "Great teaching techniques, very thorough. I would recommend this course and instructor to everyone. Great job and thank you!" "Diana, excellent work! You know your stuff and present the material well. Great participation and demeanor. Keep up the great work! All the best. P.S. I will be sending names to you to do their classes." "Great job! Instructor is animated and funny, keeping the attention and enjoyment factor of learning fairly mundane information fun. Thank you!" "This was the most fun I’ve every had learning first aid." "Being interactive and doing scenarios made the whole thing more interesting, relevant and easy to remember – the keys to a good course. Thanks!" "Very friendly & professional instructor!" "I enjoyed the group session and actual rescue practice! Two thumbs up!!" "I will recommend this to anyone/group in need of CPR & first aid training! Thank you for your wonderful training, Diana!" "Amazing! Pace of material was excellent and interactive group activities made it very informative and interesting!" "I feel more confident now and less scared if something were to happen." "I feel much more informed and prepared, and I definitely think I could now handle an emergency! Thanks!" "The instructor had great energy and knowledge and the ability to make people comfortable." "Thank you – well done!" "Thank you for making the course so enjoyable! I definitely reached my personal goal of having the confidence to act in an emergency situation." "This training was so fun! The material was clear and presented in a way that gives me great confidence in handling an emergency first aid situation. Thank you!" "Amazing combination of interactive participation and fun! Thank you!" "Great job today with everything. Your communication was clear and the information was delivered in a fun and enjoyable way! Thanks!" "Well prepared and very informative. Loved that it was hands on." "Excellent and informative! Thank you!" "Thanks! It was informative and practical." "Excellent course with opportunities for practice. The course was interesting." "Diana did a fantastic job! I feel much more confident with CPR and choking prevention. Thank you for a great learning experience." "Great setting and great participation from the group." "Very informative session. I enjoyed your training a lot." "Very informative - thank you." "It was an informative session." "It was an afternoon well spent!" "Thanks - time flew by :"
"Diana - amazing leader. Very energetic and knowledgeable." "Super helpful. Definitely made me feel less anxious/more prepared for first response aid. Thank you." "Thank you, this alleviated a lot of tension with this subject." "Thanks so much, it was great." "Diana was lots of fun, clear and concise. Thank you!" "Excellent regarding the time allotted." "Really great fun, small group, will definitely be back!" "Wonderful experience! Love that the info was tailored to our environmental needs at the studio!" "You did a great job relaying information and keeping people engaged." "Thank you - very helpful! Positive and encouraging demeanor and great hands-on practice." "Taking this course is really a great help and I learned a lot from the good instructor." "Very thorough and all questions answered well." "Session was great. Very good for in case of emergency." "Course was excellent and very informative in a relaxed environment where you were comfortable asking questions and participating. Thanks!" "Very impressive and good to know first aid and CPR." "I thought the instructor was fabulous and information was clear and well presented." "Great course! Great instruction and hands-on learning." "Excellent, interactive, informative and practical. The training addressed situations we encounter at school on a regular basis. Thanks!" "Thanks for the fun approach. It's less intimidating that way." "I learned a lot and I really appreciated all of the hands-on practice." "Excellent pace, addressed and welcomed questions, great depth of info and overall very well delivered. I learned a lot of relevant tips and approaches." "Loved the enthusiasm in the teaching and happy she was aware of our environment and the issues we may face." "Thank you so much for coming! I believe that we all feel more prepared to handle any emergency situation that may arise at the studio." "Great review with the scenarios and repetition." "It was a good course. Thanks!" "It was indeed a good training - communication was very clear." "Great class. Great communicator. Lots of helpful information!" "Great course - thanks so much!" "Great job! Fun and informative!" "Thanks!!!! Got your card too. 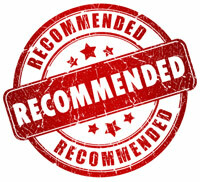 Very professional and excellent service." "To be honest, I was dreading coming today but you made it fun and interactive! Hats off - I'd totally recommend your course!" "Excellent and enjoyable class! Instructor very knowledgeable and confident. Thanks!" "Thanks, I enjoyed the course!" "Diana was well-prepared and made the material relevant and fun." "Perfect and informative. . . and fun!" "Excellent program. Wonderful course. So impressed!!" "Well taught, great principles of teaching used, knowing how students process and retain information. Thank you!" "Awesome! Thanks for the fun training day!" "Hands-on practice of CPR makes me feel confident!" "I would have stayed longer just to fit it all in. Thanks!" "Thank you! I feel more prepared!" "Just wish we had more time!" "Excellent material and clear and concise instructor." "Instructor was very clear and helpful!" "I liked the interactive approach - many questions asked and answered." "I liked that we were able to have the session in the comfort of our own home." "Excellent! I feel much more confident should an emergency arise." "The instructor was upbeat, helpful and encouraging." "Fun and I learned a lot at the same time!" "I liked the various scenarios and practice sessions."